AS THE ROTORCRAFT INDUSTRY GATHERS IN Anaheim, Calif. this month for the Helicopter Assn. International's Heli-Expo 2005, prospects are bright for the coming year, despite some tough times ahead. Challenges do promise to make the coming months tumultuous. The future of MD Helicopters must be settled. Commercial operators in the emergency medical and offshore sectors must come to grips with rising accident numbers and how to best reverse them. Heavy-lift and air tour operators must try to decipher what new and pending federal rules and policies will mean in practice for their businesses. Law enforcement and fire agencies must wrestle still with how to protect communities from criminals, terrorists and--in the some cases--from themselves. On the military side, the victor and the loser in the VXX presidential helicopter competition will have to sort out whether their fortunes have improved or worsened in the race to supply the U.S. Air Force's next search-and-rescue helicopter. The U.S. Army must decide what its new reconnaissance and light-utility aircraft will be, then defend them as budgeteers hunt for funds to pay for ongoing war efforts in Iraq and Afghanistan. The U.S. Marine Corps must defend its V-22 program against the same budgeteers, as well as prove finally that the tilt-rotor is safe and effective for combat operations. The U.S. military also must decide whether its heavy-lift rotorcraft requirements would be best met through collaboration with European counterparts seeking to address their own heavy-lift needs. 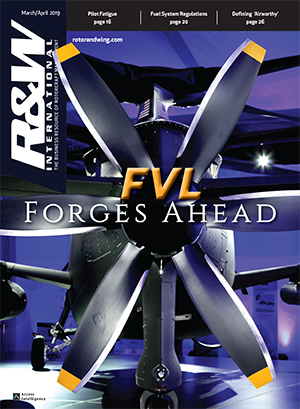 Still, with those and other challenges, the rotorcraft industry enters 2005 on a high note. Deliveries of civil aircraft in 2004 outpaced those in 2003 and outran the most optimistic forecasts for last year. Analysts and observers are surprised by the degree to which that performance was driven by the piston-engine market. Turbine aircraft typically capture the lion's share, but in 2004 most civil aircraft delivered were pistons. 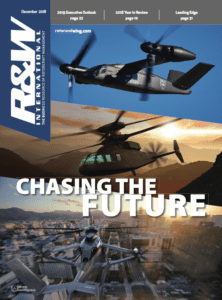 While forecasters had projected deliveries of fewer than 400 piston-engine helicopters last year, Robinson Helicopter Co. alone delivered more than 690 R22s and R44s. In 2003, it delivered 422. "We are the leader in the production of helicopters," Frank Robinson, the company's CEO, said. During Heli-Expo, the company will hold an open house of its new, 215,000 sq. ft. factory in Torrance, Calif., about 30 mi. west of Anaheim. The new factory has nearly doubled Robinson's manufacturing floor space to 475,000-sq.-ft. The company also has added nearly 1,100 workers in the last year or so and can now "manufacture almost everything in house," said Robinson. In terms of expanding market share, Frank Robinson said he expects to post more sales in Latin America this year. Traffic congestion in cities such as Brazil's Sã¯ Paulo is prompting many companies and individuals there to acquire helicopters. Also the rise in kidnapping of wealthy individuals from automobiles has prompted a surge of interest in rotorcraft, said Robinson. Sales of turbine helicopters also were strong in 2004, with Bell Helicopter Textron, Eurocopter and Sikorsky Aircraft Corp. all reporting that surges in orders continued through year's end. Both Bell and Sikorsky are expected to announce new commercial aircraft programs at Heli-Expo, including the Bell 429 targeted at the EMS market. Last year's boom has prompted forecasters to adjust their projections. 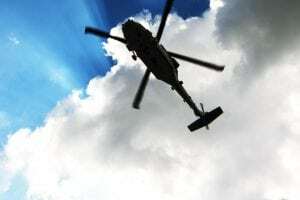 They had expected deliveries last year of about 340 piston and 480 turbine helicopters, according to a survey of industry forecasts by the Transportation Research Board's civil helicopter subcommittee. The forecasts included ones by Forecast International, Honeywell,Aviation Market Research and Rolls-Royce. A rough average of those forecasts puts deliveries at 458 piston helicopters and 469 turbines this year, moving to about 400 pistons and 480 turbines in 2007. From 2007 to 2011, deliveries are expected to run at 350-360 pistons and 480-500 turbines a year. The emergency medical services segment, for which sales grew 8.4 percent in 2004, remains the top-seller among turbine-powered equipment, followed closely by paramilitary-configured equipment for security applications. Recent sales of Bell 407s to the U.S. Drug Enforcement Agency and 430s to U.S. Customs and Border Protection exemplify the expected growth in this area. This year is likely to be another one of consolidation. Sikorksy's Heli-Expo exhibit will include its new subsidiary, Schweizer Aircraft Corp., acquired for its engineering and rapid-prototyping acumen (as well as to get Sikorsky back into the unmanned aerial vehicle market; Schweizer's 330 is the basis of partner Northrop Grumman's U.S. Navy/Army FireScout UAV). 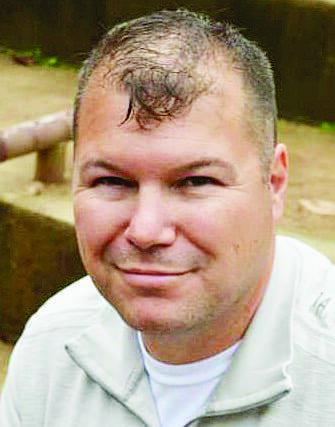 For Schweizer's part, it had done pretty much all it could with the resources at hand, said Randy Simpson, the former Sikorsky VXX program manager now posted as Schweizer general manager. "Sikorsky was the right partner at the right time," he added. "There is no question that we will see significant expansion at Schweizer." Meanwhile, financially beleaguered MD Helicopters has been in sales or takeover talks with Sikorsky and others. MD Helicopters would bridge the gap between Schweizer's small pistons and Sikorsky's medium-sized turbines. Eurocopter is expanding its industrial presence in the United States with its new 85,000-sq.-ft. plant at the Golden Triangle Regional Airport in Columbus, Miss. All AS350s bound for the U.S. market will be produced there, as will tail booms and horizontal and vertical stabilizers for AS350s worldwide. New aircraft completions and maintenance of AS350s and EC120s also will be done there. Eurocopter's aftermarket initiatives are a window on the future. Last year, American Eurocopter signed a multi-year contract with the U.S. Coast Guard to provide kits, spares and technical assistance for re-engining 95 HH-65 Dolphins. Turbomeca USA will provide the Arriel 2C2 turboshaft engines. Conversions will be done in Mississippi. Eurocopter also is pursuing a partnership with China's Aviation Industry Corp. II (AVIC II) to share development costs for the new, 6.5-ton EC175. The EC175 would be on the market by 2010, according to Guillaume Faury, vice president commercial helicopter business. In an interesting development, Eurocopter is discussing with Sikorsky the possibility of partnering on development of the CH-53X, which is widely expected to be the United States' answer to its requirements for a helicopter capable of lifting a 20-25-ton payload. Discussions are ongoing with several potential partners, but Sikorsky sees a link with Eurocopter as an entre to competition to provide Europe's next heavy-lift helicopter. Bell/Agusta Aerospace Co. is looking forward to a good year, having won U.S. FAA certification of its AB139 (see page 9). Bell is intent on pursuing development of its Modular Affordable Product Line, a family of light single- and twin-engine helicopters that company officials see as the most efficient path to new aircraft responsive to market demands. The company predicts the MAPL family will achieve 20 percent reduction in operating costs, 10-dB noise reduction and 20 percent improvement in productivity and useful load, among other goals. Plans call for the first aircraft to be certified by the end of the decade. The 407ARH is Bell's entry for the U.S. Army Reconnaissance Helicopter. A request for proposals was to be issued in late January. Bell also is offering its newly developed 210 as an answer to the Army's requirements for a new, commercial-off-the-shelf light-utility helicopter. The 210 had its first flight in December and is scheduled to gain FAA certification by March 31, according to Bell. 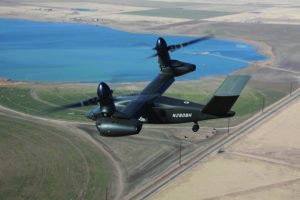 The V-22 tilt-rotor remains a top priority for Bell. The aircraft is slated for a second round of operational evaluations later this year aimed at proving the conquest of design problems with the V-22 and organizational and cultural problems with its development program, all of which were factors in two fatal crashes that grounded the aircraft. The tests are critical, since Bell's ability to develop and support commercial aircraft depends to a great degree on the health of its military business. Several manufacturers believe the market for security-related equipment will be key to growth. 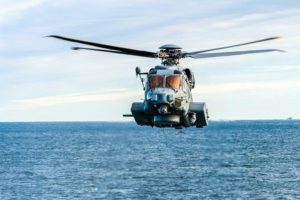 Since September 11th, 2001, the use of helicopters has expanded and "we expect that pattern to increase," said Stephen Moss, president of AgustaWestland Inc. "We've certainly seen that trend with our MH-68A Stingrays flown by the U.S. Coast Guard." In the future, Moss also sees increased need for more reliable military rotorcraft and civil machines reconfigured for military use in Iraq and Afghanistan. Change is ahead for powerplant makers as well. Honeywell is developing the 900-plus shp. HTS 900 for single-engine rotorcraft in the 5,000-6,000-lb. gross weight category and twin-engine helicopters in the 9,000-10,500-lb. class. It has obtained FAA certification for its LTS101-700D2, targeted for Eurocopter A350B/BA/B1/B2s and Ds. An LTS101-700D2-powered B2 will be on display at Heli-Expo. Nasos Karras, vice president of military and helicopter propulsion for Honeywell, said the T53-17BCV, whose Lycoming T53 predecessor powered thousands of UH-1 Hueys, has been selected to power the Bell 210. Rolls-Royce will have a busy 2005 as its Indianapolis-based Helicopter and Small Gas Turbine Engine business enters its first year with new President Scott Crislip. The ubiquitous Model 250, launched more than 42 years ago, may have one of its busier years as a result of new product applications, including the Kamov Ka-226. 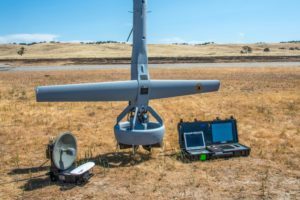 One of the Model 250's more important new military applications is with the FireScout, according to Alex Youngs, director of business development for Rolls-Royce. The first two FireScouts are to begin testing and evaluation this October. Rolls-Royce will continue its conceptual design efforts on the Model 250 Series IV engine this year. Youngs said the "biggest opportunity potentially" in 2005 is with the Marine Corps' CH-53X, which is slated to enter the System Development and Demonstration phase this year. Rolls-Royce is offering the 6,000-shp. AE1107 engine for the CH-53X. 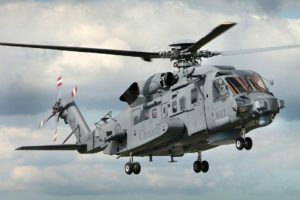 Youngs said the company would also benefit from the 2,100-2,600-shp.-class Rolls-Royce Turbomeca RTM322, which has a 90-percent selection rate for the multi-national NH Industries NH90 helicopter. The first of 14 AgustaWestland EH101 aircraft for the Japan Maritime Self-Defense Force is slated for delivery to Japan mid-year for assembly by Kawasaki Heavy Industries, which will also assemble the RTM322 Mk250 powerplant. Rolls-Royce Turbomeca will continue to develop RTM322 derivatives, including an increase in power to 3,000 shp and beyond. Turbomeca USA continues to develop its U.S. support activities and manufacturing capabilities. It has launched a three-year plan to increase the level of U.S. production of Arriel 2s and Arrius 2/2B2s to 100 percent. "The Arriel engine is well on its way to becoming the [Pratt & Whitney Canada] PT6 of the helicopter world," asserted Russ Spray, Turbomeca USA president and CEO. 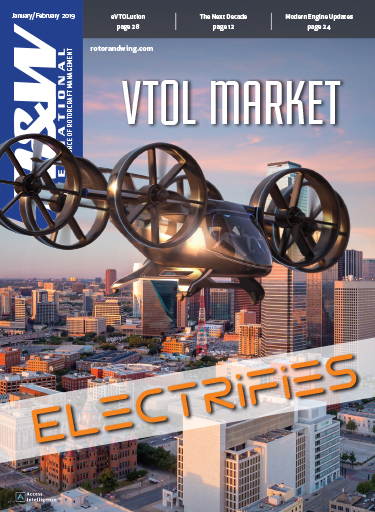 In the future, the propulsion business that supports the small gas-powered helicopter industry could help ignite a revolution in new small powerplants. The development of diesel-powered engines, as well as the digitization of powerplant controls and diagnostics will help drive this expansion, along with customers that demand more powerful and cost-effective powerplant solutions. For Lycoming, the race has begun already. In mid-September, it partnered with mobile electronics concern Delphi Corp. to bring racing technology to the piston-aircraft engine business. Specifically, they will implement roller-tappet technology across Lycoming's aircraft engine line, which is expected to enhance performance and reliability. On the avionics front, the helicopter market is very active. Initiatives range from highly integrated avionics suites and separate flight management systems to LCD flat-panel displays, moving maps, terrain avoidance warning systems (TAWS), wide-area active surveillance radar, infrared see-through weather systems and satellite-phone based flight following systems and services. Altair Avionics is focusing its Heli-Expo efforts on two products developed to monitor critical flight parameters on rotorcraft. The two products, IntelliStart+ and SmartCycle+ are cutting-edge technology designed to identify and record event and trend data from airframes and engines. Data that take hours to tabulate and process is automatically recorded for ground-based analysis using Pratt & Whitney Canada's Helicopter Engine Condition Trend Monitoring software. Data is downloaded using Altair's Monitor Link Program to a laptop computer. 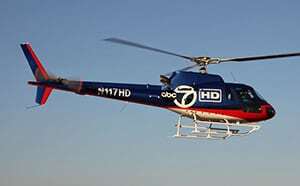 The monitoring systems are certified on numerous helicopter types. Becker Avionics is offering three new surveillance products for search-and-rescue missions. These include the newest, the RT-300 series two-band precision direction finder, and the G-200 high-performance electro-optical gimbal with a day-night stabilized payload used for video tracking, image enhancement and graphics electronics. Other new products are the Becker Radio Management Unit, RMU-5000 and the Digital Voice Communications System, DVCS-5100. The RMU allows a pilot to control three separate radios from a single, compact control head. The DVCS is a digital audio selector and intercom system allowing multiple connections to comm, nav, fixed direct channels and pilot/operators and passengers channels. Chelton Flight Systems late last year won FAA approval to install its FlightLogic synthetic-vision electronic flight instrumentation system (EFIS) in the Eurocopter AS350/355 and the Bell 407. The system features the Chelton primary flight display (PFD) with forward-looking synthetic vision, a multifunction moving-map display, GPS, WAAS and full FMS. The system includes a helicopter TAWS, air data computer, solid-state attitude and heading reference system (AHRS), and a voice warning system. Chelton will highlight its Highway-In-The-Sky (HITS), which includes navigation symbology providing precise 3-D guidance for en route and instrument procedures, search grids and precision helipad approaches. The symbology, linked to the PFD, is a virtual tunnel of green boxes through which the pilot flies, greatly simplifying common helicopter procedures to include noise abatement areas, GPS approaches or SAR programs. Dallas Avionics' primary display at Heli-Expo includes the Black Opal product line from Australian manufacturer Laserdyne and Canada's Technisonic Project 25 digital radio communications products. Black Opal Systems is a color-image, pixel-enhanced, flat-panel LCD that compensates for rain, fog, snow, mist, smog or smoke. Black Opal products are valuable for law enforcement, news-gathering and EMS helicopter missions and are compatible with major integrated avionics systems. Technisonic products are airborne FM-related and include the TDFM-136 and TDFM-600/6000 transceivers. The TDFM-136 is capable of analog and digital communication on every available channel in the VHF High band. The TDFM-600/6000 transceivers function in conventional and trunked modes and support demanding law enforcement, homeland security and para-military operations. Free Flight Systems' latest products are specifically advanced GPS/WAAS navigation systems. Primary are the 1203 GPS/WAAS sensor, 2101 I/O Approach plus GPS, 2101 I/O Approach plus Search and Rescue Software and the TRA3000 and 3500 radar altimeters. The 2103 sensor provides aircraft position and altitude information with high accuracy to an integrated navigation system. The 2101 GPS is used for supplemental en route, terminal and approach IFR helicopter operations and is NVG-compatible. The SAR software option on the 2101 allows helicopters to enter and fly varied grid pattern applications. The TRA3000 and 3500 are used for critical low-level operations like search and rescue, forestry, pipeline work, aeromedical services, border patrol and electronic newsgathering. Specific versions of Garmin International's TCAS, EGPWS and multi-function displays (MFDs) are working in helicopters around the world. The company's 400 and 500 series MFDs have recently been upgraded to include TAWS, WAAS, real-time weather and moving-map displays. The company has introduced a remote sensor system, the GDL 69, that receives weather data broadcast from XM Satellite Radio. Other products at Heli-Expo this year are the GPSMAP 96/96C and GPSMAP 296. The GPSMAP 96 and 96C are portable devices featuring detailed obstruction data and auto-routing capabilities. Both include Jeppesen airport data, and a GPS-derived HSI. The GPSMAP 296 boasts sectional topo mapping and TAWS alerting on a sunlight-readable color display and the capability of voice guidance. Honeywell's Primus Epic integrated avionics suite is now operational on the AB139. That package includes automatic flight control, EFIS, engine indication and crew alerting system (EICAS) and full-range communications/navigation radio systems. The company continues to focus on its line of safety products, include TCAS, EGPWS and WAAS. Earlier this year, Honeywell announced certification of its Primus airborne radar, which features sea-clutter reduction and ground mapping at ranges up to 250 nm. The radar is expected to be operational on Agusta, Boeing, IAI, Kaman and Sikorsky helicopters. A full range of Jeppesen flight-planning, charting and navigation services are on display in Anaheim, along with its helicopter training kits. The training packages are the most complete in the industry, according to the company, offering products tailored to Schweizer's Model 300CB. Jeppesen's FliteStar VFR flight-planning software has customized charts to show single or multiple charts, toolbars and information bars. The IFR version includes exclusive VectorPlus mapping technology and vector themes, which offer GPS-derived low- and high-altitude en-route charts, as well as color-coded elevation information with plane and profile views. Paravion Technology utilizes the latest in LCD technology to create its aviation video display product line, Diamond Back monitors. These monitors can be integrated into any rotorcraft avionics suite to provide nearly unsurpassed resolution and daylight readability. Specifically, the Diamond Back monitors are excellent for viewing images from daylight camera systems or flir systems as well as various entertainment devices. The active-matrix LCD color monitors come in three sizes, 8.4, 10.4 and 12.1 in. A wide range of SAGEM Avionics' products are applicable to helicopter operations. These include autopilot systems, flight control management, integrated cockpit displays and condition and monitoring systems along with flight operations quality assurance software. Last year, the company provided significant avionics systems on the upgraded Erickson S-64F Aircrane helicopter. The makeover included SAGEM's solid-state digital avionics ICDS 2000 MFDs, the PA 155 automatic flight control system with a stability augmentation system and the F201 digital, solid state AHRS. Other products high on the company's technology scale are the FMS 5000 with GPS-505 navigator for rotorcraft. Most SAGEM systems are certified on Eurocopter models. Sandel has just completed redefining the EHSI with its SN3500/TW EHSI/Terrain/Weather Series. According to the company, there is an application for its new EHSI on nearly every rotorcraft. The system provides the equivalent of a 4-in. display in a 3-in. instrument. This includes situational awareness by presenting compass, map, flight plan and radio magnetic indicator data in an easy to read format. It can include terrain information, gear and flap warnings and datalink weather. A selected feature is the NavData IFR flight plan and approach waypoints derived from a GPS-approved database. Universal is focusing its efforts on flight management. Its 2005 plans include its new Super Flight Management System (SFMS), designed to provide the capability to fly all procedures from takeoff to touchdown. SFMS, according to the company, includes precise navigation, the latest advances in LCD technology, larger processor and memory capacity. Universal said the new system is its growth path to the future with RNP/ANP, Integral GPS, WAAS, LAAS, Datalink Communications and TAWS. In addition, Universal is presenting its version of the EFB at Anaheim. Satellite-phone based communications and flight-tracking systems and services continue to make headway in offshore markets and now are gaining ground with EMS operators. BlueSky Network at Heli-Expo will unveil a new, lower-priced advanced control head for use with its D1000C modem and a new display device that together permit use of short-code messaging between aircraft and dispatchers and others on the ground. This allows text messaging and voice communications through the service, which BlueSky Network President Jon Gilbert said should be useful to offshore operators seeking more efficient communications with aircraft. Sky Connect recently won business from MedSTAR Transport, which is equipping its three EC135s and one BK117 with Sky Connect satellite terminals and TRACKER systems to enhance air-to-ground communications. The systems are designed to provide auto-tracking and voice communications with the aircraft through the Iridium satellite network. MedSTAR Transport serves the Baltimore-Washington, D.C. metropolitan area. "Sky Connect gives us both an automated tracking solution for our helicopters and economical satellite voice communications," said Christopher Wuerker, medical director of MedSTAR Transport.